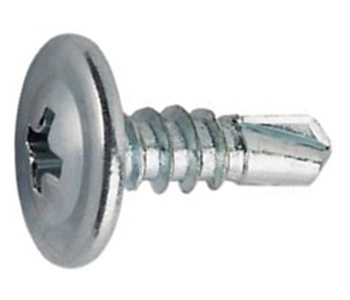 Screw Distributors are suppliers of self drilling screws. Our experience in this field also extends towards our experience with them. We are able to offer sound advice in their usage and application. As such, presenting us with the information about the project you are working on allows us to offer you the correct advice, such as the screw sizes you will need when using them. As the different types of screws go, self drilling screws have several features that set them apart from other fastener types. For one, they eliminate the need to drill a pilot hole before inserting them, additionally, they offer a high level of hardness, pull-out strength, and shear strength. This makes them perfect for use in wood and metal constructions. Self drilling screws offer a number of advantages over other types of fasteners that provide an idea of their optimal applications. They are corrosion resistant, these types of screws offer excellent resistance against gas, weathering, and a number of corrosive elements. On top of this, they are resistant to acidic and alkaline substances. Thanks to the elimination of the need to drill pilot holes for their insertion, self drilling screws are easy to install. As fasteners go, they save time, and minimize labour in their usage. As previously mentioned, they also offer a long service lift. 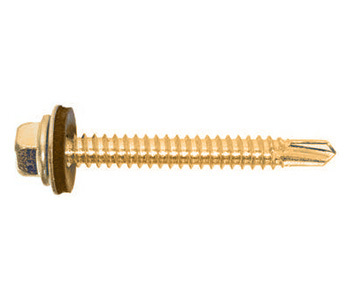 Due to their nature, these types of screws follow a similar manufacturing process to drill bits. On top of this, they are available in a massive variety of finishes, which allow them to suit a range of conditions and exposures, they same can be said of the screw sizes that they are available in. They are useful in steel construction, able to affix steel to steel or other materials to steel as needed. In wood applications, they are usually used in wood structures such as roofs and flooring. In aluminium applications, they have special uses, an example being the manufacturing of window frames. 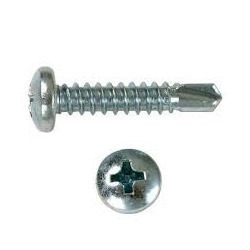 Self Drilling Screws are of a high level of usefulness. As stockists, Screw Distributors are able to deliver them straight to your chosen address, and offer a range of screw sizes. For further information regarding our fasteners, feel free to contact us.